The Lionhead Rabbit is a relatively new rabbit breed within the United States of America. Although the breed had been imported around 1998, it was not until 2014 that the American Rabbit Breeders Association (ARBA) approved the Lionhead Rabbit as an officially recognized breed. In contrast, the United Kingdom’s British Rabbit Council (BRC) already recognized all known colours and varieties of the breed, in 2002. 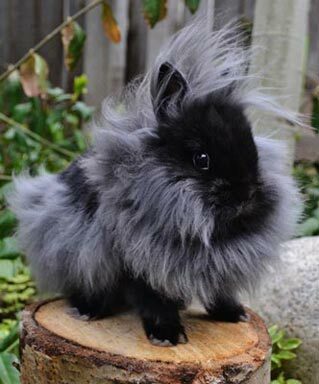 In the United States, according to the ARBA Standards, the Lionhead Rabbit is recognized in the following colors and varieties: Tortoise (Black, Blue, Chocolate, Lilac) and Ruby Eyed White (REW), Chocolate & Seal. Lionhead Rabbits are small bunnies with compact, rounded bodies and are considered to be a fancy breed. The distinguishing factor between Lionhead bunnies and other breeds is that this breed has a “wool mane”. The similarity they share with the king of the animal kingdom, the Lion, is the reason that they were given their breed name. Normally, their mane is around 2 inches (5 cm) long. Lionheads are not only cute and perky, they are very good-natured bunnies who are also tolerant of children as well, and as such, they make wonderful pets for kids and adults alike. They also tend to be well-mannered, friendly, and easily trained. Learn more about their temperament! 5 of the most popular questions about Lionhead Rabbits! Below we have listed and answered the most common questions about lionhead bunnies. We advise new Lionhead owners to also have a look at this “Guide to Lionhead Bunnies” written by Ann Fletcher. All the facts and information you would want to know about this amazing breed. How do I care for a Lionhead Rabbit? An important part of “caring for your lionhead bunny” is to provide a healthy diet that should consist of about ½ cup of high quality pellets daily, plus an unlimited amount of fresh Timothy hay and fresh, clean water. It is allowed to give them small amounts of rabbit-safe veggies and fruits (What to feed my Lionhead? ), in moderation – which is on the average 2-3x per week. Furthermore, due to their long wooly manes, brushings will need to be done in a consistent manner, being at least 2-3 times per week, unless he is molting – at which time he will need to be brushed daily. These brushings are very important to rabbits with longer fur because mats develop very quickly and easily and if left un-attended, can cause the rabbit pain and even skin infections. So keep in mind that daily care is required! Also, don’t forget to do your basic weekly health exams, as well as monthly nail trimmings. What is the size of a Lionhead Rabbit? A popular question asked about this breed is “How big does a Lionhead Rabbit get?”. An average adult sized Lionhead should weigh approximately 3lbs (1.36kg), although the maximum weight for show requirements is that of 3lb 12oz (1.7kg). In other words, their size is similar to that of most small-breed rabbits, yet a bit bigger than most of the dwarf sized ones. 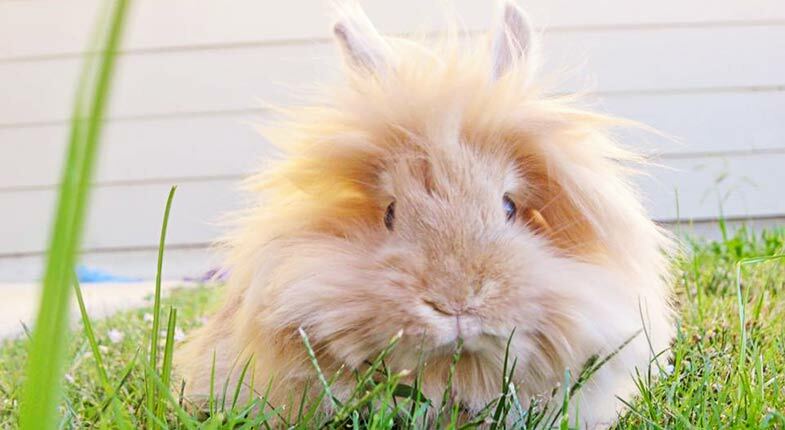 What is the lifespan of a Lionhead bunny? How long does a Lionhead Rabbit live? When cared for correctly the average lifespan of a Lionhead Rabbit is 8 to 10 years. Providing the right type of housing for your bunny, as well as the right types of food, exercise and attention will play a large part in determining the length of his life. It is also known that avoiding as much stress as possible can also increase the time-frame of life. Is my bunny Single or Double mane? There are 2 types of mane’s that a Lionhead could have. The mane (a distinctive tuft of long fur) of a Lionhead is a thick, wooly fur which is soft and has a presence of crimping. This wool covering will surround the head area, and often times the flank area, of the rabbit. The only true way to tell if your rabbit is either a double or single mane specimen is to examine it directly after birth. Would you like to know how? See: (Do I have a single or double-mane Lionhead Rabbit?) and find out. The number of mane-genes that a Lionhead gets from each parent, determines whether it is a double mane (two mane genes) or a single mane (one mane gene) rabbit. A double mane Lionhead will have a noticeable V form around their skirt, while a single mane will look like a any other rabbit directly after birth. Additionally, there is also what is referred to as a no-mane Lionhead, in which case that rabbit will not have received any mane-genes at all. What does a Lionhead bunny cost? The purchase of the Lionhead itself will vary from a ballpark figure of $20.00 to $125.00, depending upon the quality of rabbit you choose to have, where you buy it from, and whether or not it is pedigreed. If you are interested in owning one as a pet, a pedigree is not required. However, if you are considering breeding them, and / or showing them, a pedigree will be needed and it would be necessary to buy the best quality of rabbit that you can afford and that is available to purchase. The costs involved in owning a Lionhead can vary greatly depending on how basic or elaborate you want to be. On the average scale, however, by the time you add in the cost of the rabbit, the hutch or cage, feed, hay, treats, basic grooming and medical supplies, you can expect to pay in the wide-range of $300.00 – $750.00 for one year. From there, price can go up substantially if you opt to buy a show quality rabbit. Furthermore, if you choose to participate in showing the expense will continue to increase, based on how many times you show and the distance traveled to do so. If you are looking for more information about other rabbit breeds we can recommend to have a look at rabbitpedia.com/rabbit-breeds/ and discover some other cute breeds. 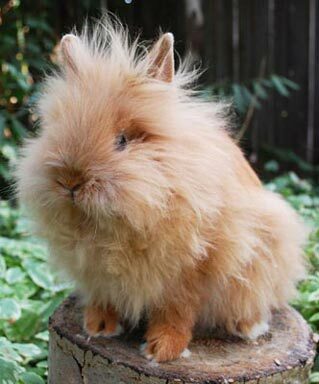 Nonetheless we strongly believe that lionhead bunnies are the cutest amongst all ;)!